* Love and vanity: how does the saying go? 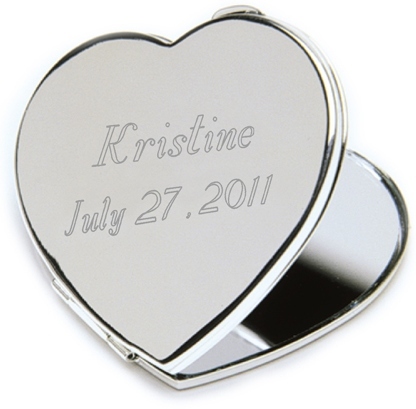 * Intertwine the two with this sterling silver-plated heart shaped mirror, personalized on top, creating a keepsake gift to remember your special celebration by. * Compact features both a regular and magnifying mirror. 2.5" x 2.25" x 2"